Thanks to the Easy Store toothbrush holder by Joseph Joseph, oral care products now have a stylish new home. Toothbrushes, toothpaste and dental floss can all be neatly organised in one place to ensure that they are always at hand. 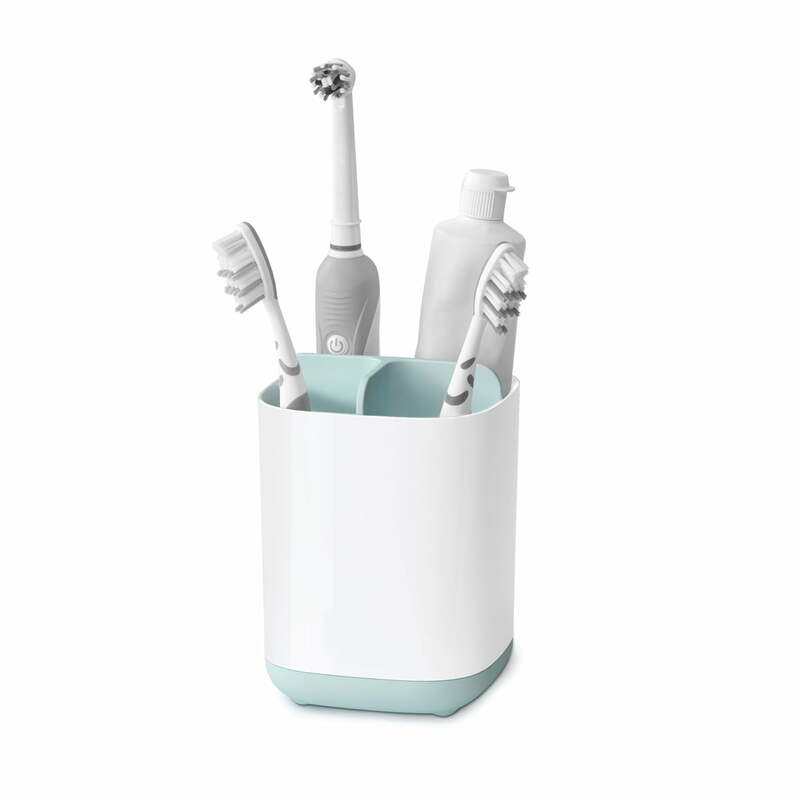 The toothbrush holder is divided into three or six compartments, so that each family member can have their own section. Ventilation holes in the bottom of the caddy allow the water to drain and promote fast drying. A coating on the bottom also prevents the holder from slipping on surfaces that are often damp and smooth. The different elements of the toothbrush holder can be disassembled to allow for easy cleaning. 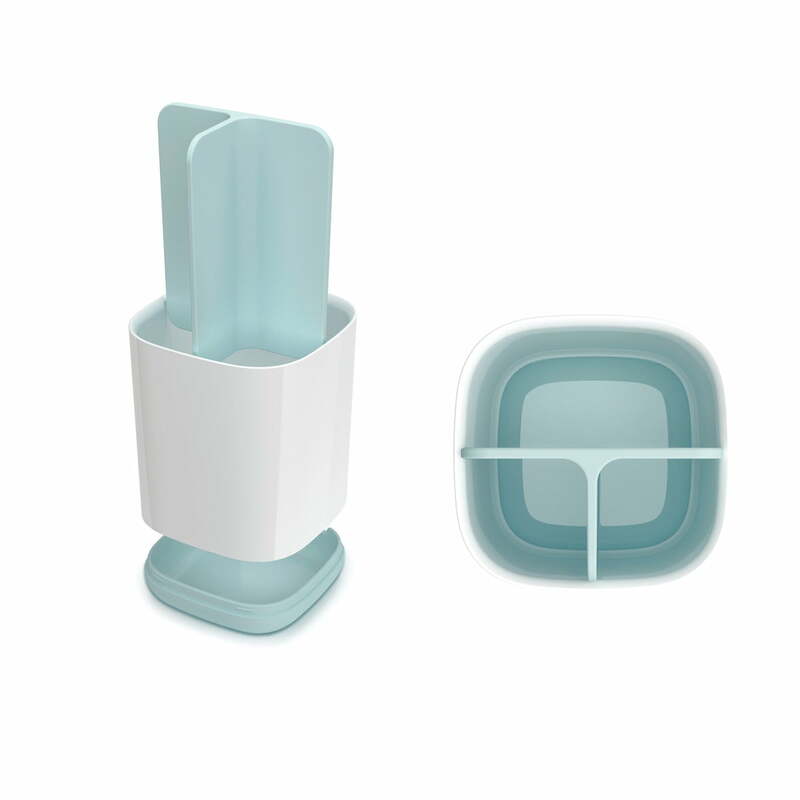 Isolated product image of the Joseph Joseph - Easy-Store toothbrush holder. The toothbrush holder can easily be dismantled to allow for easy cleaning. Isolated product image of the Easy Store toothbrush holder. The toothbrush holder is divided into three or six compartments, so that each family member can have their own section. 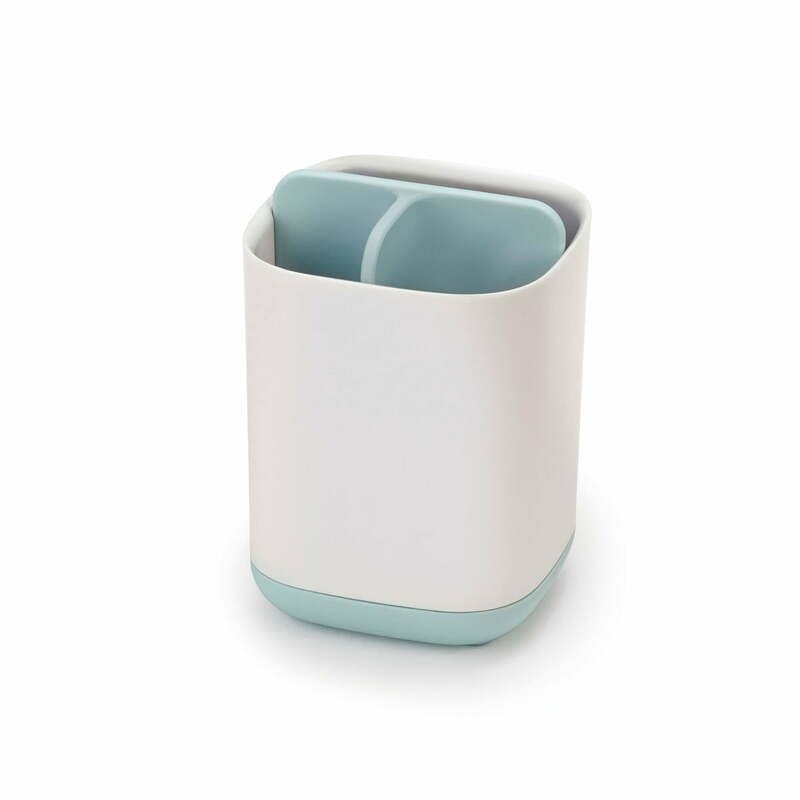 Lifestyle product image of the Joseph Joseph - Easy-Store Toothbrush Holder A coating on the bottom also ensures the holder does not slip on the often damp and smooth surfaces. Isolated product image of the Joseph Joseph - Easy-Store Toothbrush Holder The different elements of the toothbrush holder can be disassembled to allow for easy cleaning. 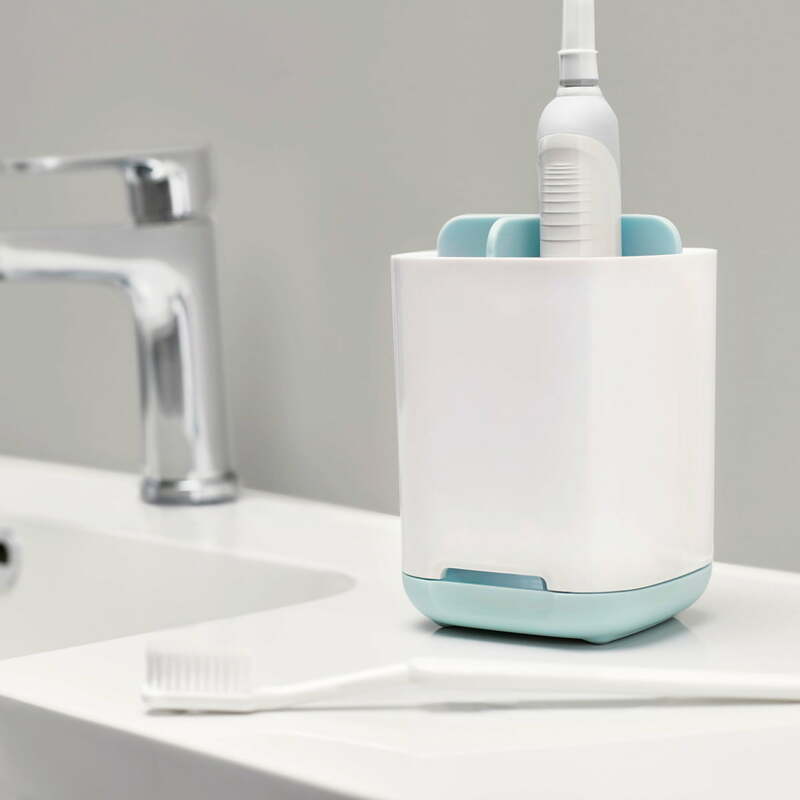 Lifestyle product image of the Joseph Joseph - Easy-Store Toothbrush Holder Ventilation holes in the bottom of the caddy allow the water to drain and promote fast drying. 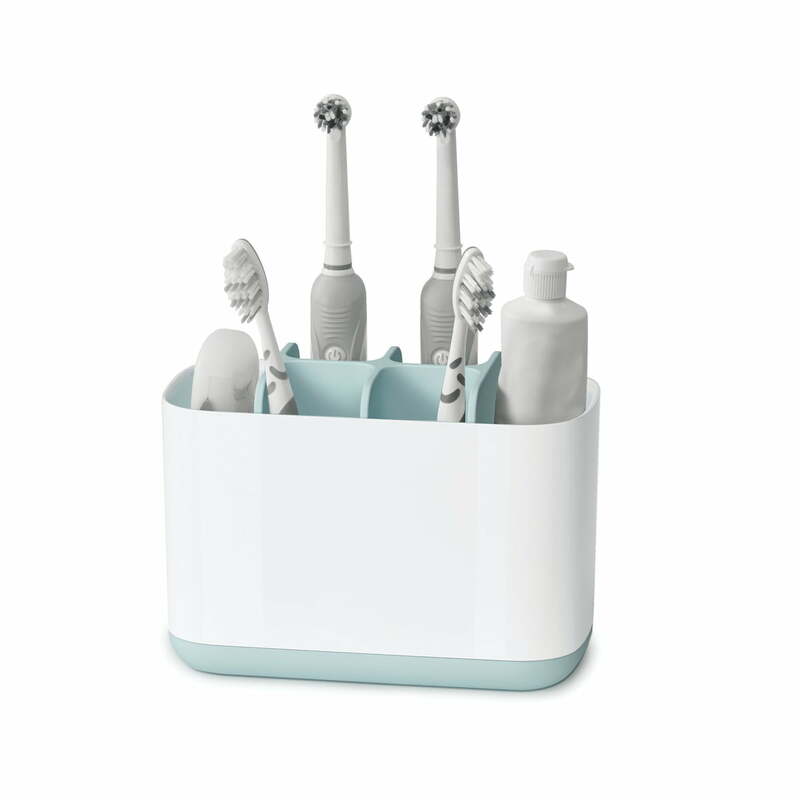 Lifestyle product image of the Joseph Joseph - Easy-Store Toothbrush Holder The toothbrush holder is divided into three or six compartments, so that each family member can have their own section. 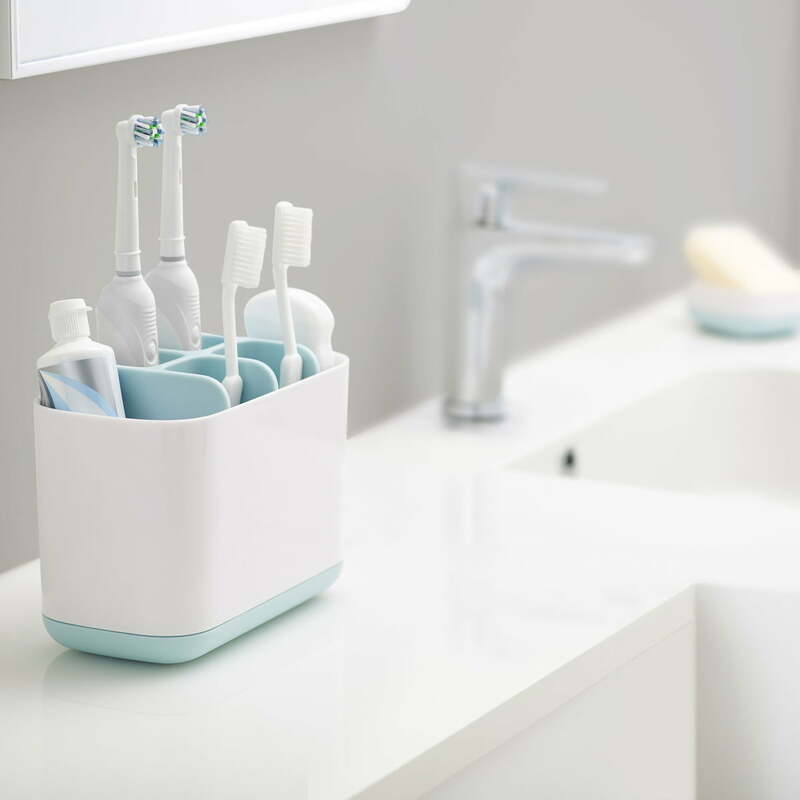 Lifestyle product image of the Joseph Joseph - Easy-Store Toothbrush Holder Toothbrushes, toothpaste and dental floss can now be neatly organised in one place and always be at hand. 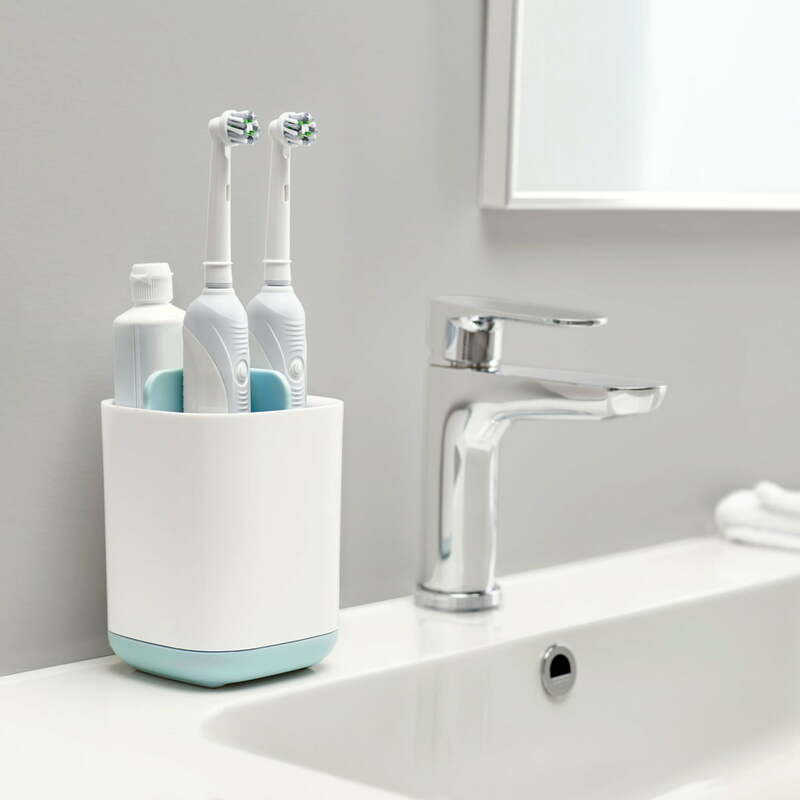 Lifestyle product image of the Joseph Joseph - Easy-Store Toothbrush Holder Thanks to the Easy Store toothbrush holder by Joseph Joseph, oral care items now have a stylish new home.